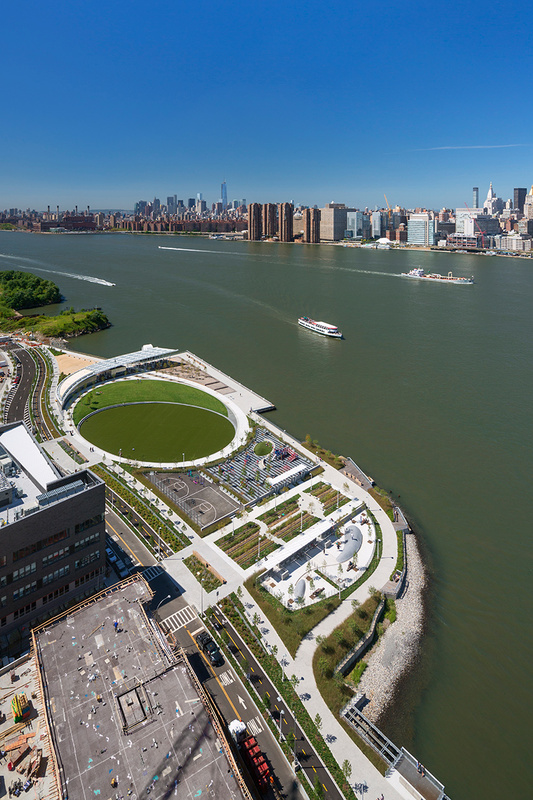 new york has welcomed a waterfront park at hunter’s point south, a mixed-use development in long island city. the opening of the park, along with the completion of the site’s infrastructure and roadways, marks the realization of the project’s second phase. 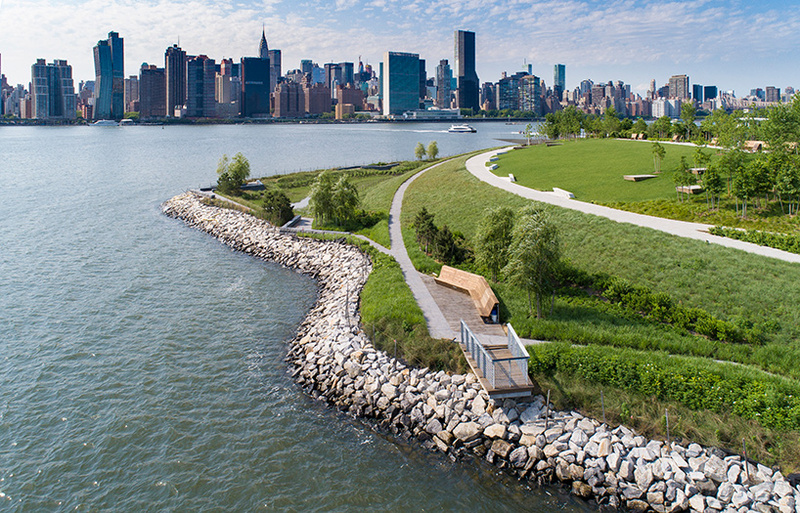 the milestone follows the completion of the larger park to the north, which first welcomed the public in 2013. the project was a collaboration between landscape architecture firm SWA/balsley and weiss/manfredi, with arup serving as prime consultant and infrastructure designer, as well as lead designer for the broader development project. 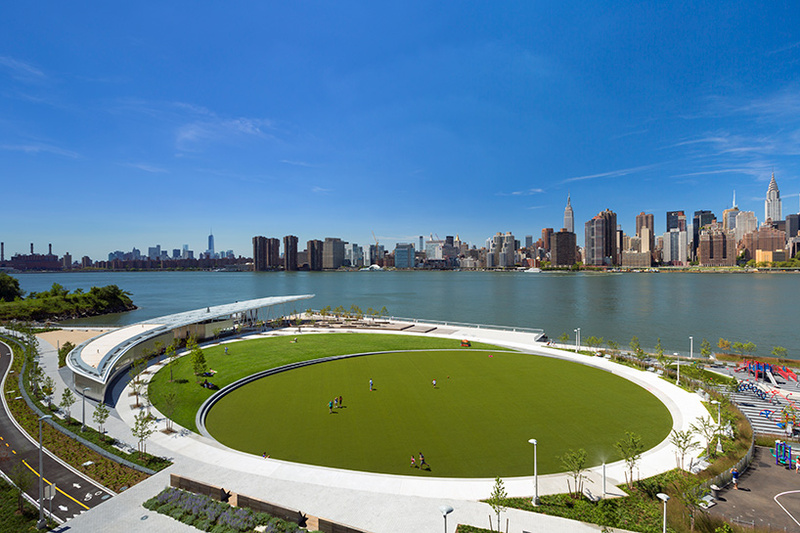 the design weaves together infrastructure, landscape, architecture, and art, and is located adjacent to new york city’s largest affordable housing development since the 1970s. 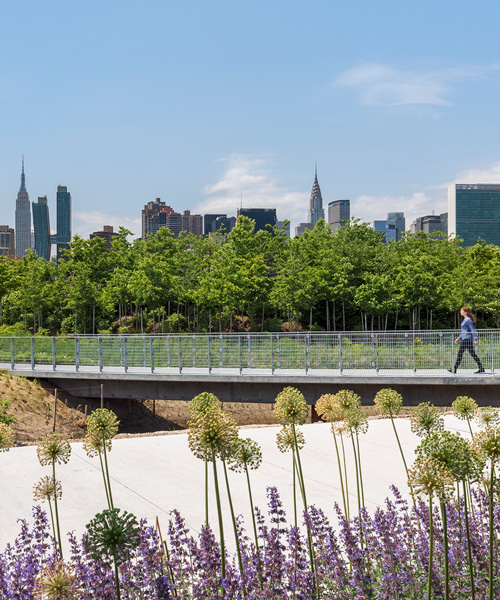 the park transforms 11 acres of abandoned industrial land opposite manhattan into a welcoming public space. 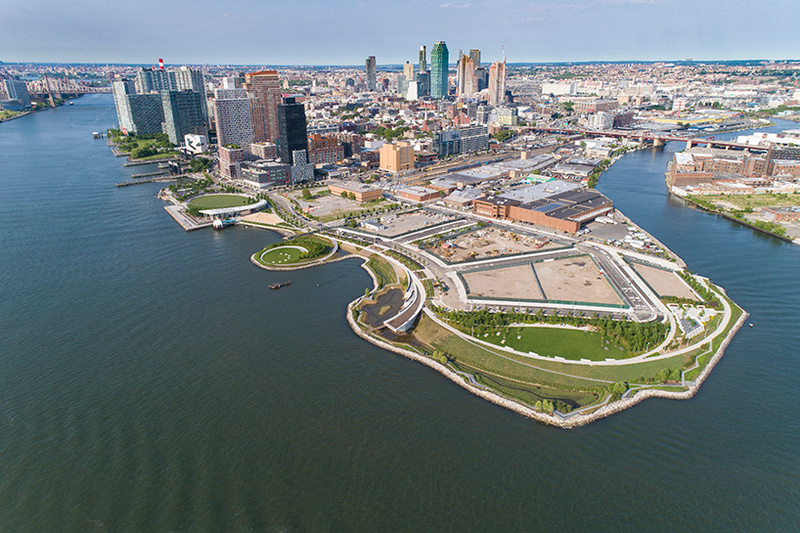 conceived as a new model of urban ecology and a prototype for innovative sustainable design, the scheme anticipates the inevitable flooding patterns and rising water levels of the east river with a resistant and flexible design. 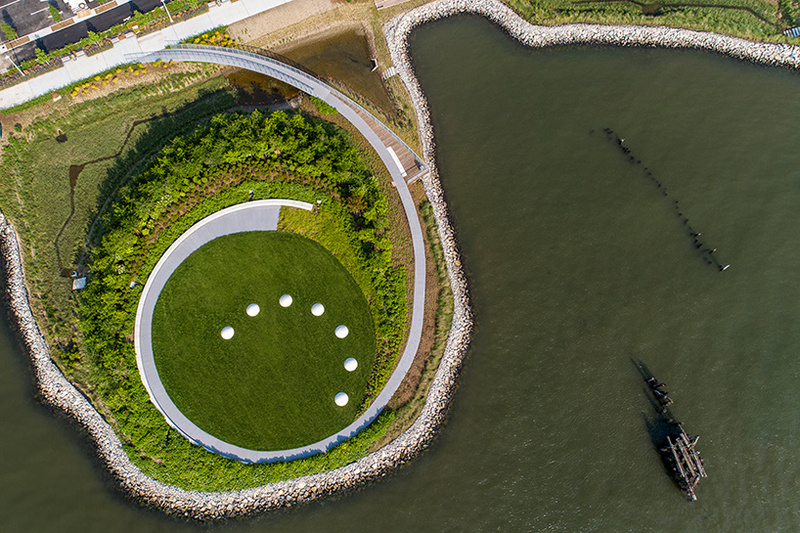 an ‘industrial peninsula’ has been sculpted to offer an island-like setting, where visitors cross a narrow bridge to discover a land art installation by artist nobuho nagasawa. titled ‘luminescence’, the work depicts the phases of the moon with glowing six-foot discs. to the south, the site’s paths unfurl into a promenade that leads to the ‘overlook’. 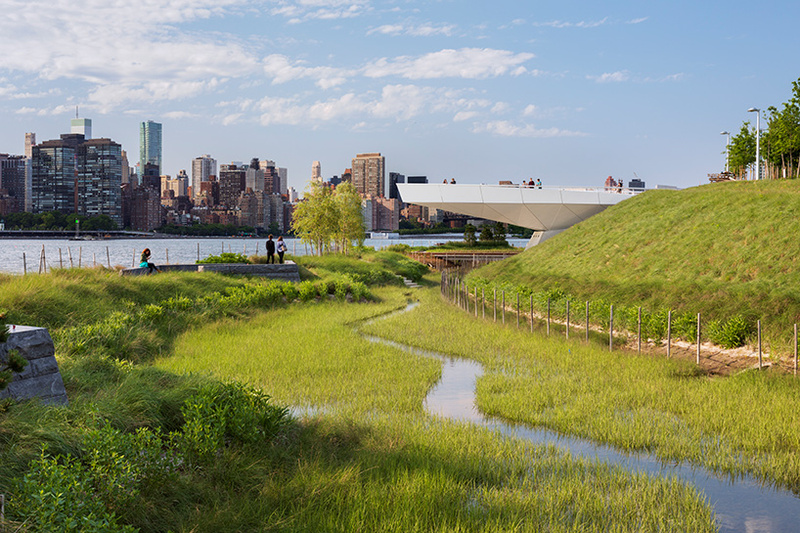 this 30-foot-high cantilevered platform offers views of the manhattan skyline, while remaining intimately connected to the tidal marsh and trails below.